Get it back on road in 3 days with Coverfox. Available in Bangalore, Delhi/NCR, Mumbai, Hyderabad, Chennai, Haryana, Ahemdabad and Pune. Get in touch with our Repairs and Claims Advisor today. We work Monday to Saturday from 9:30am to 6:30pm. 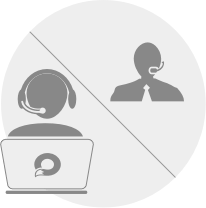 Our Repair and Claims Specialist will get in touch with you as soon as possible. 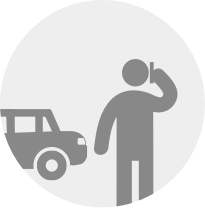 In case of any emergencies, you can call for Roadside Assistance at 1800-103-9433. We have received your details. You will receive a call from us within 2 hours. Call our Toll Free number 1800 209 99601800 209 9960 or email us at expressclaims@coverfox.com. We are available 9am to 7pm from Monday to Friday and 10am to 6pm on Saturday and Sunday. Your car’s repairs and insurance claims at your fingertips, without moving an inch. Guaranteed 3-day car repair, so that nothing stops you. Expert repairs management for quality servicing. End-to-end claims assistance and speedy approvals. Priority garages offering tons of value-added services. How does Express Claims Service Work? Wrecking your car is bad enough. We don’t want you to have any more bad experiences. Coverfox express claims service assures to free you from all kinds of troubles while getting your car repaired and making insurance claims for it. Damaged your car in an accident? Call Coverfox express claims service. Coverfox Repairs and Claims Specialist visits you in 2 hours; picks up your car and helps you with the initial cost estimates. The car is repaired at a certified workshop. You can be sure of honest pricing, best deals and quality of service. Repairs and Claims Specialist coordinates with your insurance company for claims filing and settlement. Your repaired car undergoes a 25-point quality check through the Repairs and Claims Specialist. Your car is delivered at your doorstep in 3 days. For every day of delay, there are Ola vouchers worth Rs. 500. Is this an Emergency Service? This is a Claims Assistance service. You can use this facility to get your damaged car repaired and the claims processed. 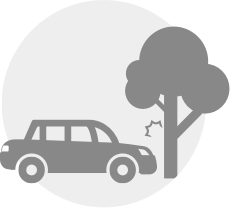 In case your car breaks down and you need emergency services – If your car is damaged and cannot be driven, you can contact our express claims service and they will provide all the possible necessary help for the same. We are investing in this service to ensure that you have a seamless experience when you make a claim. We don’t make any money out of this. We are leveraging our relationships and the business we generate to offer the best of services through our partners - be it insurance companies or workshops. This is one of the perks you enjoy when you buy your car insurance policy through Coverfox.com. Would the rates be different if I go directly to the same workshop or any other competing workshop? There will be no difference in the rates charged by the workshop if you go through us or directly. Do I have to pay anything extra for this service to Coverfox? This service comes at absolutely no extra cost to you. Instead, you can get discounts on various value-added services while availing Coverfox express claims service. Why are there limited options on workshops? Garages have been hand-picked based on the facilities they offer, their track record, quality of service and the priority that they provide to Coverfox.com customers. To ensure excellent quality and timely delivery, partner Garages/Aggregators can offer this service only through a select list of workshops. If your preference of a garage is outside our network, our Customer Service Unit would provide you with all possible tele-assistance while you get your car repaired at a cashless garage of your insurer, however the express claims as well as guarantees will be unavailable. Can I use this service if I use a garage not in your list? While our Customer Service Unit would provide you with all possible assistance, you won’t be able to avail this service, and a host of benefits that comes with this service, if you choose to use a regular garage. 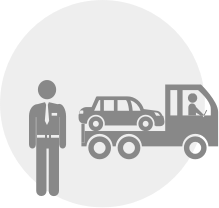 What if my car is damaged in transit to the Workshop? 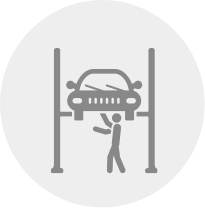 Your Car is in the hands of experts. The car would be picked, handled and driven by our Repairs and Claims Specialists, who have more that 8 years of experience in handling Automobiles. They would take the best care of your vehicle. You need not worry about any damage in transit. How do I trust your repairs and claims specialist? All our repairs and claims managers are well-experienced automobile engineers, who are well-accustomed to the repairs and claims process. They are employed with Coverfox.com only after thorough background checks by independent agencies. Can I visit the workshop during the repairs? We like to take complete ownership of the claims process and hence would like our customers to sit back and relax while we take up all their hassles. But if you still feel the need, our Repairs and Claims Specialists would be happy to facilitate the visit. Can I pick my car back from the workshop? We like to take complete ownership of the claims process and hence would like our customers to sit back and relax while we take up all their hassles. 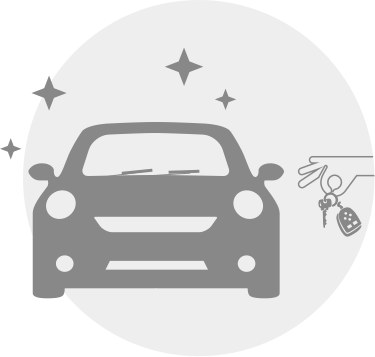 Yes, you can pick your car back from the workshop but we have an option where in you can test-drive your car at your doorstep and our Repairs and Claims Specialists would take care of all the concerns that may arise at the time of the delivery. What if I am unhappy with the repair job? 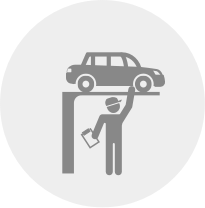 All repair jobs would go through a detailed audit before the car is handed over to you. If in a rare instance there seems to be a valid problem with the repair job, it would be re-done at no cost to you. How would I make payment for the amount liable to be paid by me? In line with our proposition of providing services at your doorstep, you have option to make payments to our partner Garage/Aggregator by using your credit or debit card at the time of the delivery. Garage/Aggregators don’t support cash payments. Can I get my car serviced under this programme? As the name suggests, this programme is for claim settlement only. We will keep you posted as and when we expand our offerings. What if my car is not delivered in 3 days? If the car is not delivered in 72 hours, there are Ola vouchers worth Rs. 500 for every 24 hours of delay - maximum up to Rs. 5000. In case you opt for services/repairs in addition to the repairs/claims approved by the insurer, the final communication of claim approval by the insurance company would be assumed as the time of delivery of the car. What are the terms and conditions regarding 3 day express claims ? Major damages which have more than three panels damaged, will not be covered under the three-day guarantee. Non-availability of parts at the workshop will not be covered under the three-day guarantee. *Car Repair services including workshop network services, repairs management, guarantee and penalties for delay are provided by various Auto Service Providers. Express claim services are currently functional only in Bangalore, Delhi, Mumbai and Pune for select insurers and Make-Models. Call 1800 209 99601800 209 9960 (Mon-Sat: 9am-7pm and Sat-Sun: 10am-6pm) for any questions. But, don't lose heart if you are not in Bangalore, Delhi, Mumbai or Pune! Our claims experts will still help you out at every step of the way, the best they can. Simply call us at 1800 209 99601800 209 9960. You can also mail us at expressclaims@coverfox.com.